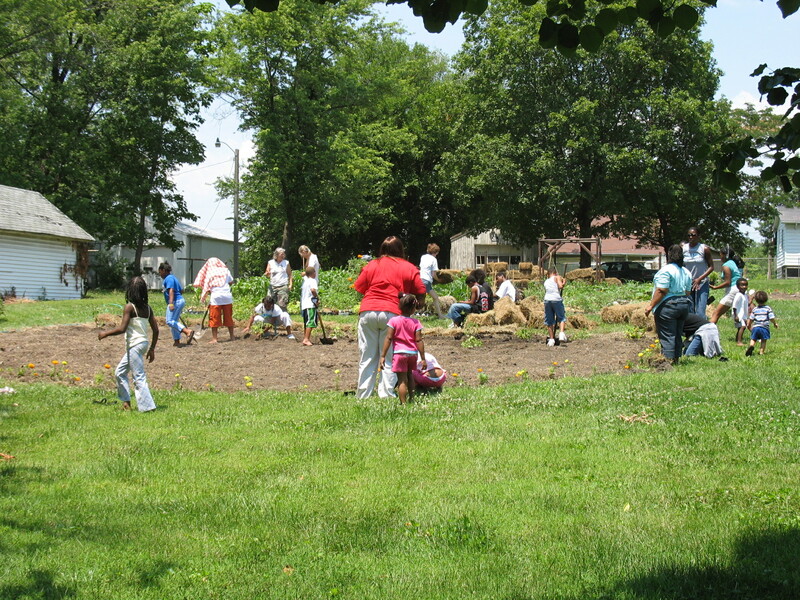 The Circus Lyon Community Garden got its start in 2006, when owner Mark Stevenson opened it up for the coalition to start a garden with support from neighbors. 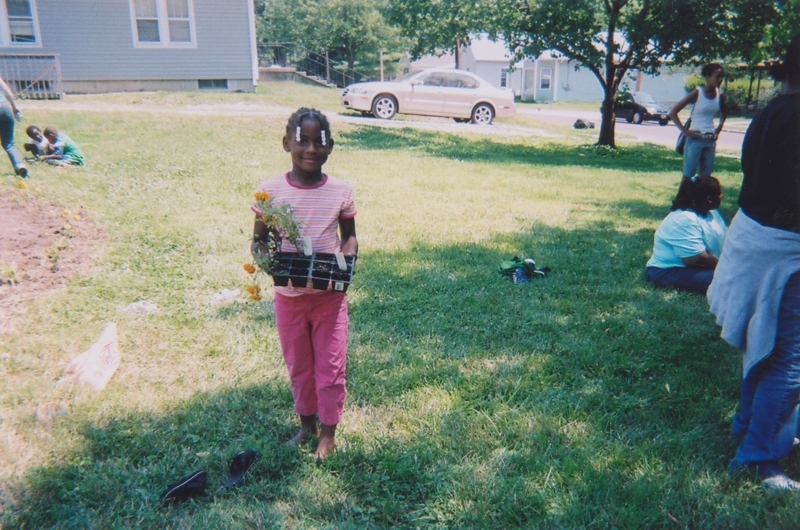 That first year, kids from a City of Columbia youth camp helped plant some donated tomatoes and marigolds. 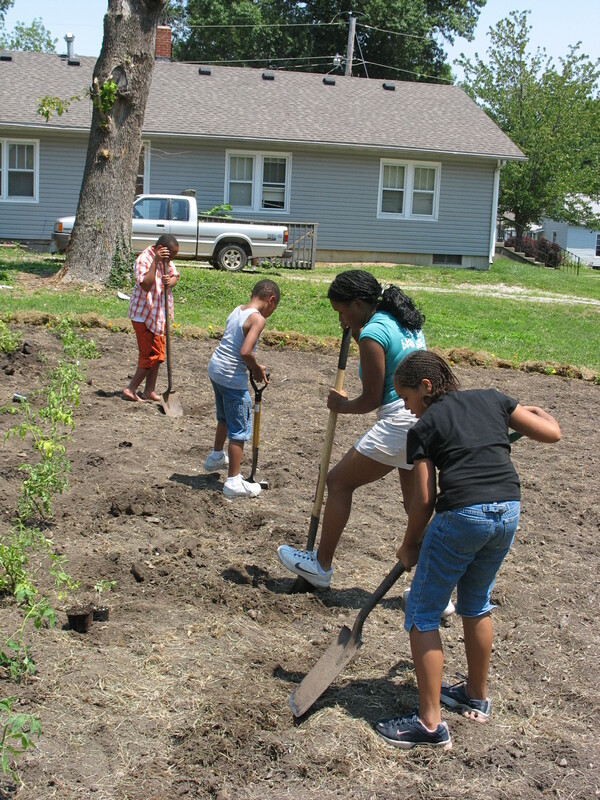 The kids got to get their hands in the dirt and learn about how to place young plants in the ground and water them. 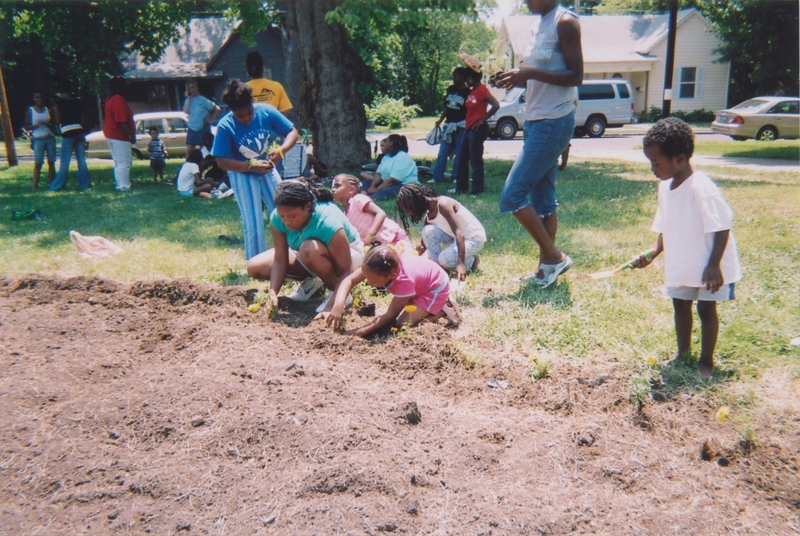 Check out these photos from that first year! 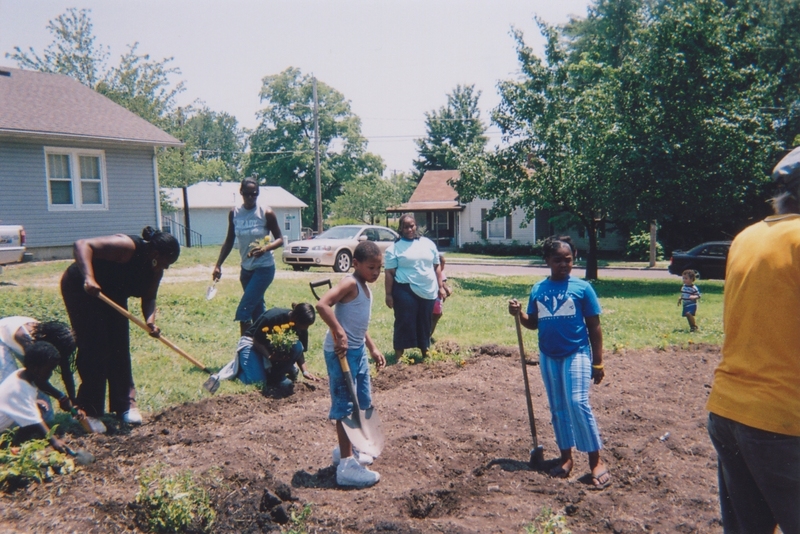 The garden has continued to thrive since then, with gardeners even going on a float trip together in 2017. 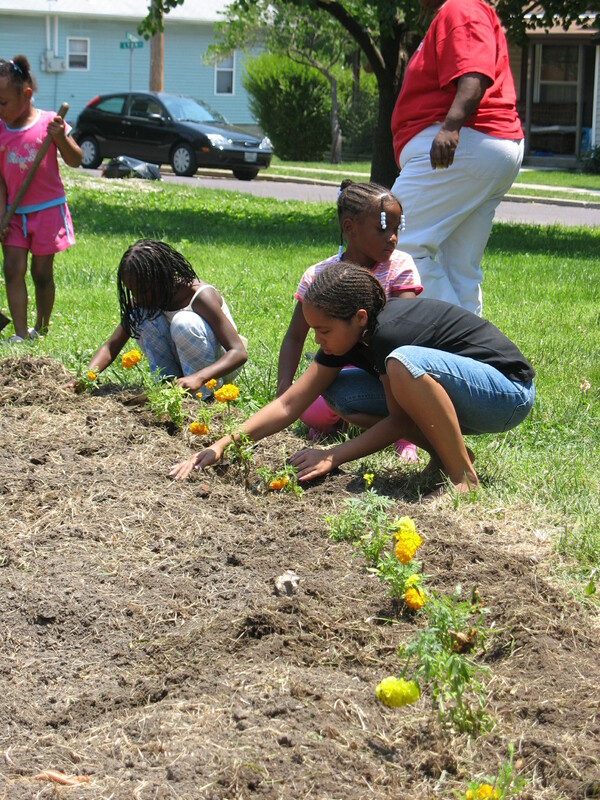 Like all of our neighborhood gardens, plots are open to anyone in the community who applies. 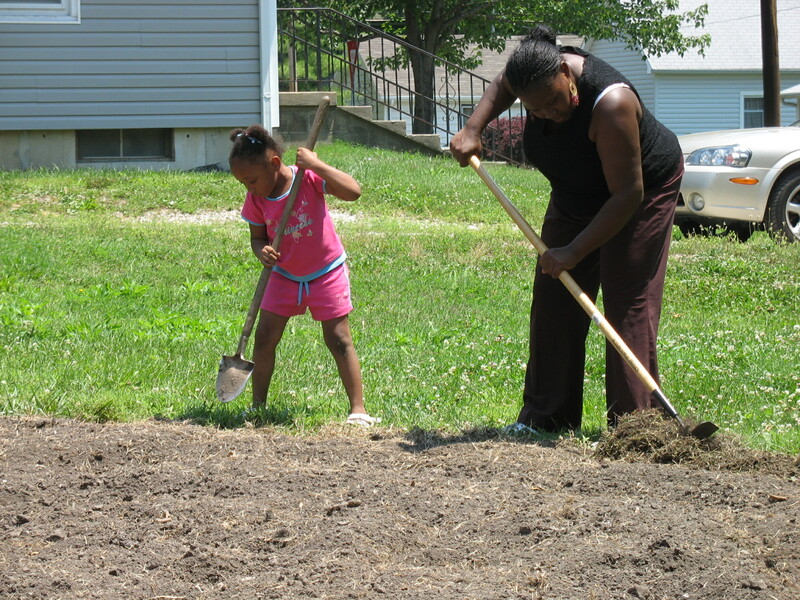 Gardeners plant and harvest from their individual plots, and are expected to contribute to the general upkeep of the garden, like mowing and mulching. 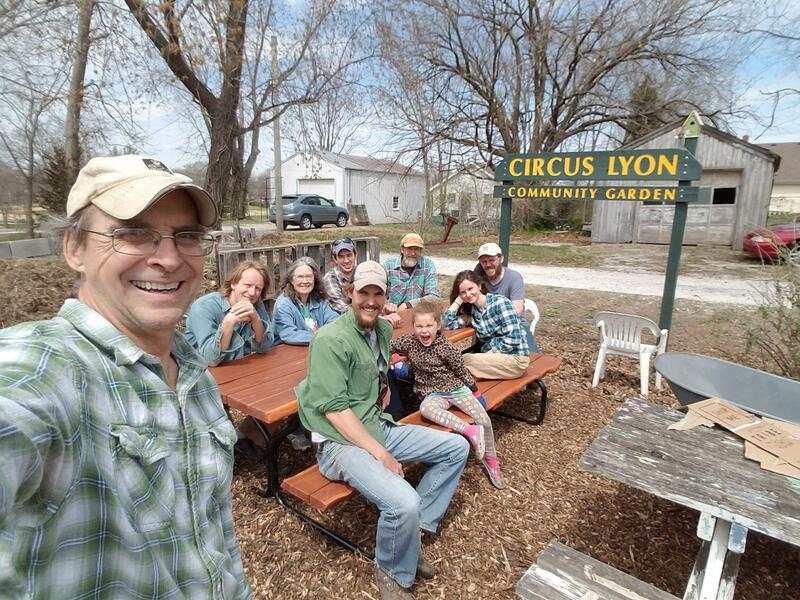 Here’s a crew of Circus Lyon gardeners this spring after a work day to mulch a common area.